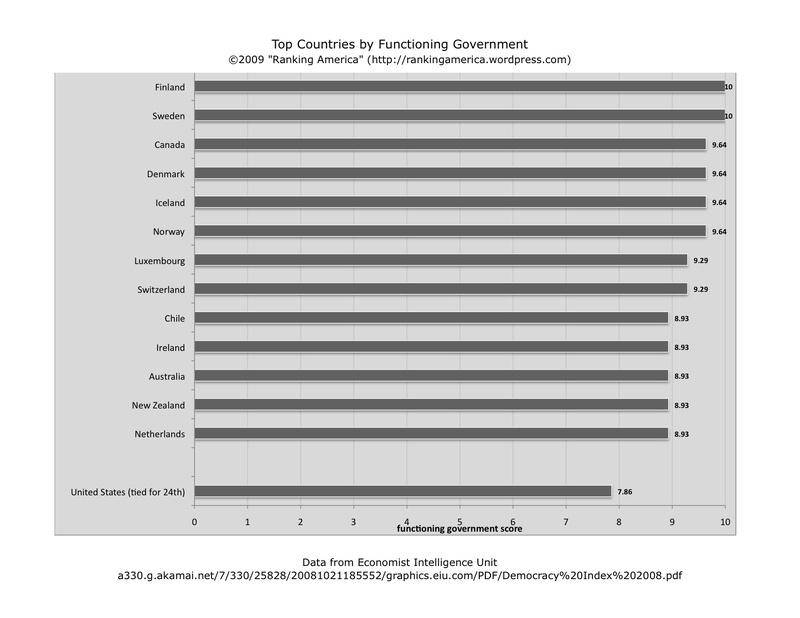 According to a 2007 Pew Global Attitudes Survey, 59% of Americans believe that U.S. government policies consider the “interests of other countries around the world.” This made the United States tied for eighth with Uganda in that category. 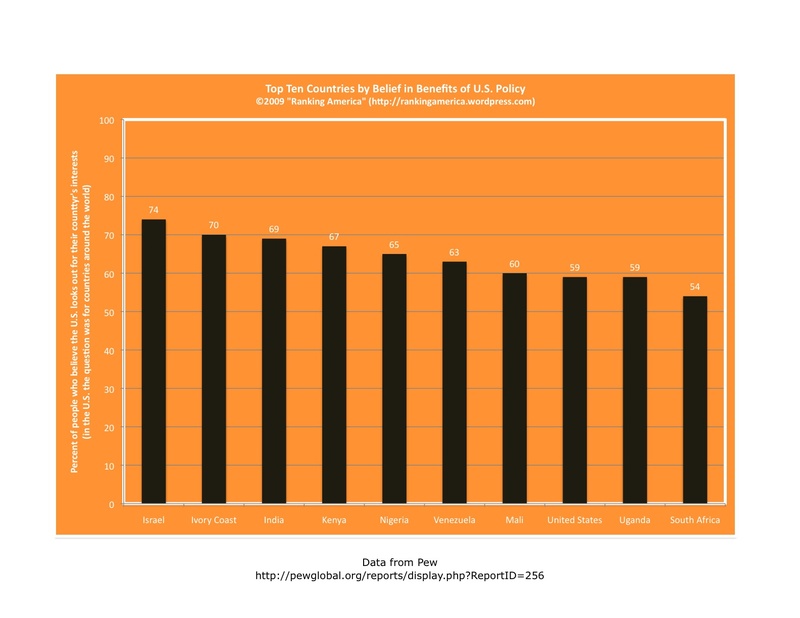 Israel ranks first, with 74% of Israeli’s believing that U.S. policies consider the interests of Israel. 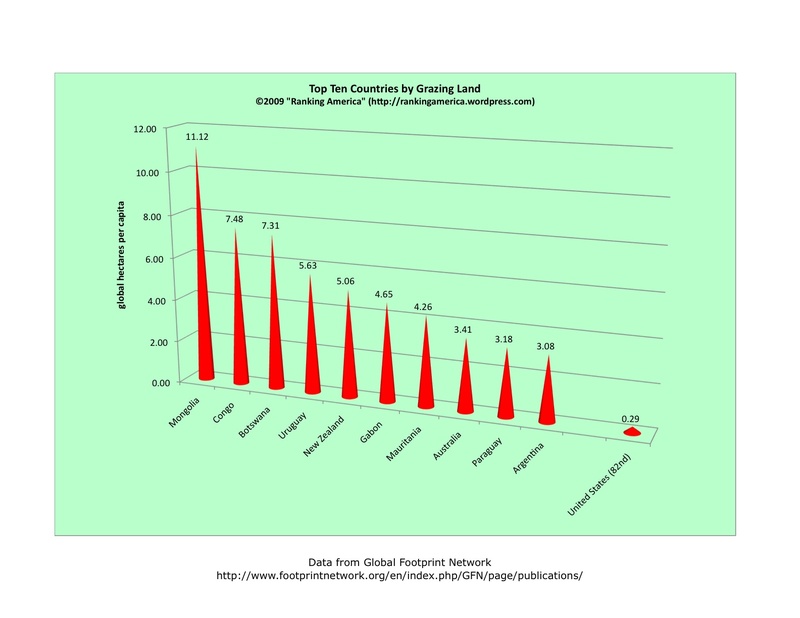 According to the Global Footprint Network, the United States has a grazing land biocapacity of .29 global hectares per capita, which makes the United States rank eighty-second in that category. Mongolia ranks first, with a grazing land capacity of 11.12 global hectares per capita. 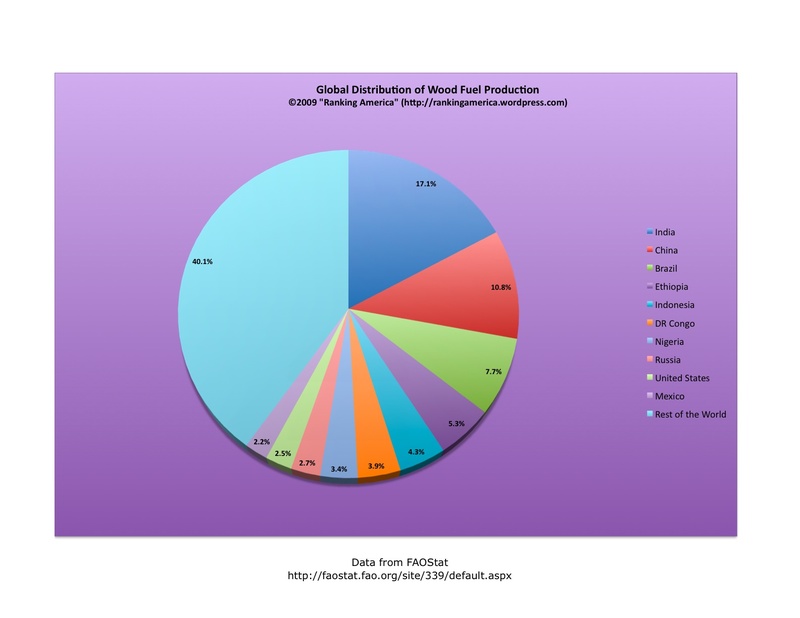 According to the Food and Agricultural Organization of the United Nations, in 2004 the United States produced 43,608,000 cubic meters of wood fuel, or 2.5% of the world’s total, which was enough to make the United States rank ninth in that category. India ranked first, producing 17.1% of the world’s wood fuel. 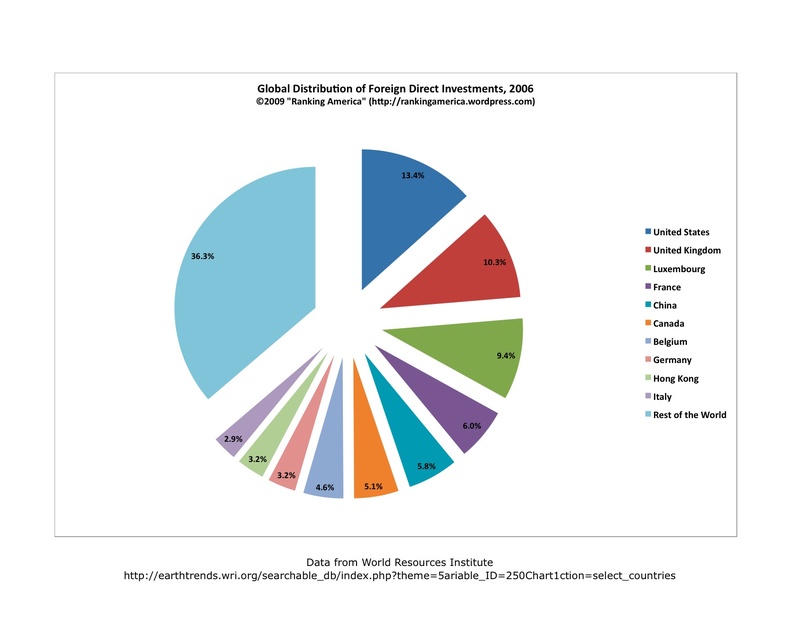 According to the World Resource Institute, in 2006, there was a net inflow of $180,580,000,000 worth of foreign direct investments from transnational corporations into the United States, or 13.4% of the world’s total. This volume made the United States rank first in that category. According to the World Health Organization, in 2005, an estimated 60,100 Americans died from respiratory infections, which made the United States rank twelfth in that category. 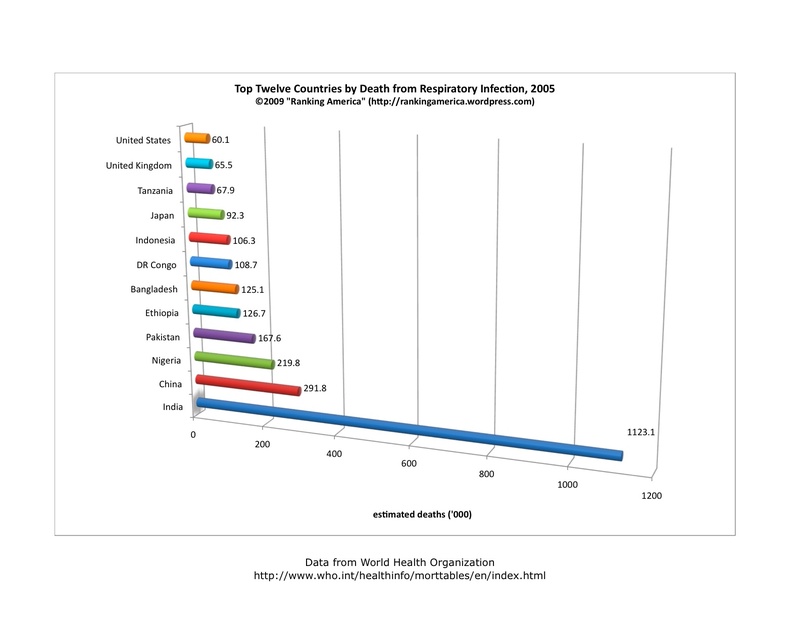 India ranked first, with 1,123,100 deaths from respiratory infections. 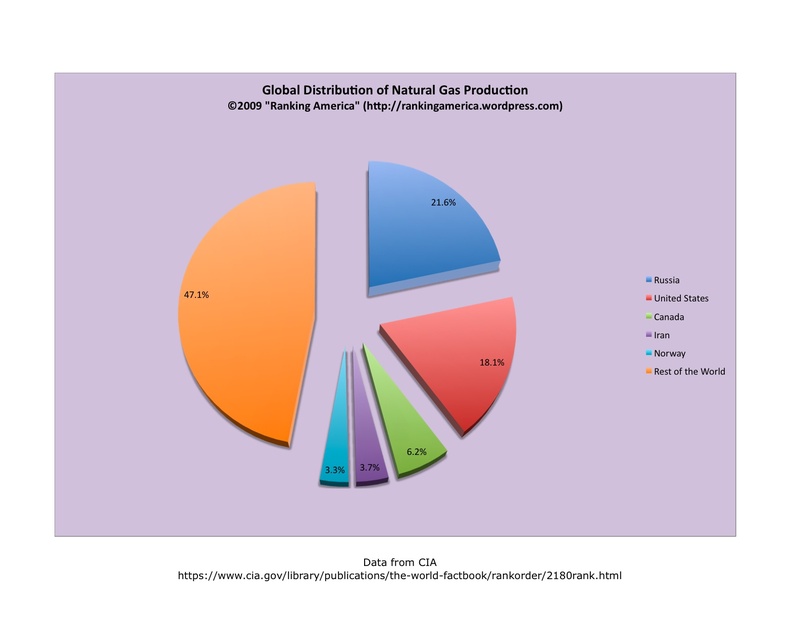 According to the CIA World Factbook, the United States produces 18.1% of the world’s natural gas, which makes the United States rank second in that category. Russia ranks first, producing 21.6% of the world’s natural gas. Together, the top five countries–Russia, the United States, Canada, Iran, and Norway–produce 52.9% of the world’s natural gas.